Yimiton's Blog: Agbani Darego getting married to 51 year old Timi Alaibe? 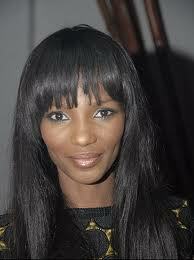 Agbani Darego getting married to 51 year old Timi Alaibe? It's everywhere on the internet that Former Miss World, 29 year Agbani Darego has accepted a marriage proposal from 51 year old Bayelsa politician, Timi Alaibe. 'The Punch' even stated that they have been dating for quite a while. 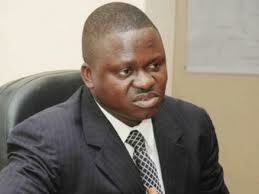 Is it Same Timi Alaibe that I know? The husband of ownership of Pretty Woman(RIP)? Na wao. I think most Nigerian ladies are actually after money and not Love. Damn it. How e take concern you? They're both single adults. I'm sure you'll have jumped at it if given the opportunity. Amebo blogger. If you like don't publish my post. Before nko? after all, he's a widow and Agbani has not seen any man to ask her the question. They're not committing any crime. MONEY! Her money is running dry and she's looking for someone to lean on. She looks much older than her 29 years. I am vitually the only girl that still fall in love and not money. All the men(single men oo) with good money where hath thous? Amebo blogger, go and verify. Linda Ikeji said it's a lie. They're not engaged.